Save 55% with GrabClub Subscription.. but How Does This Work? 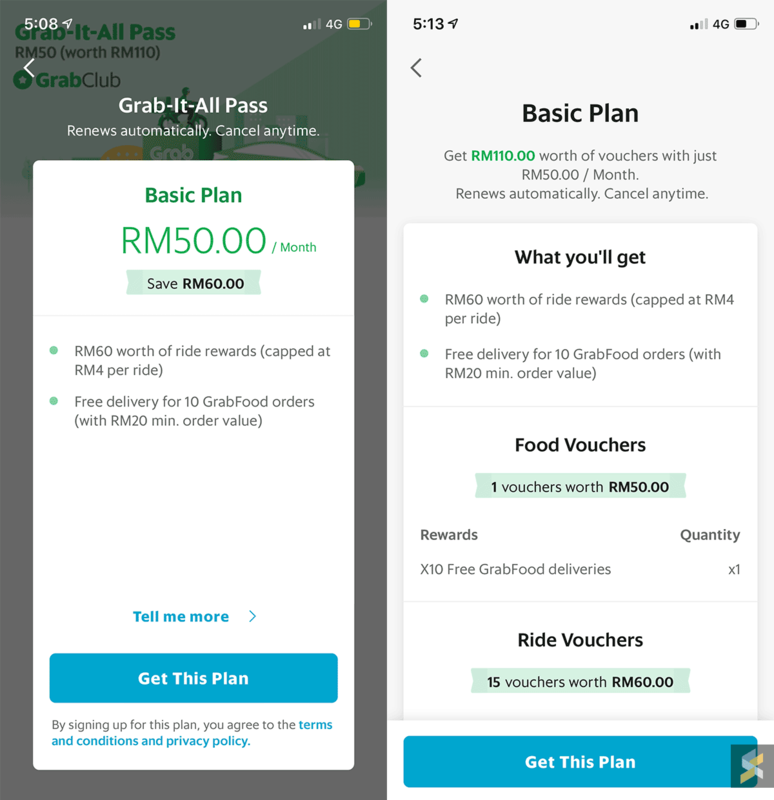 Grab being Grab, is definitely taking big leaps into the new year, now with its new subscription programme hich offers additional savings on Grab ride and GrabFood deliveries, the GrabClub. 2. x10 FREE Delivery for GrabFood (worth RM50.00) - with a min. spend of RM20.00 in a single order. The pass automatically renew itself -- meaning deducting RM50.00 every month from your bank, BUT you can cancel at any time. You can access these vouchers under the MyRewards tab in the GrabRewards section. The Grab-It-All Basic pass is limited to 35,000 redemptions and it only accepts GrabPay as the mode of payment. According to Grab, the pass is only offered to selected passengers only. 2. Click on "GrabClub" on the menu -- you'll see 'Grab-It-All Pass' on the screen. It's pretty easy...or it is? Do YOU think GrabClub will work in Malaysia?